Get started today, no obligation, with a free trial. 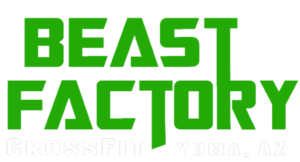 The Beast Factory is a 5,000 sq ft training facility located at2185 E. Palo Verde Street, Yuma, AZ. 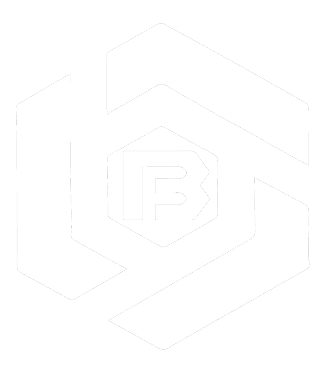 We offer group and individual coaching and our workouts are comprised of constantly varied, functional movements (like pushing, pulling, squatting, lifting, running) executed at high intensity. Typically an hour long and they consist of a warm-up, strength training, and metabolic conditioning. We teach vinyasa style yoga, which basically means “arranged in a certain way” & we coordinate breath with each pose. 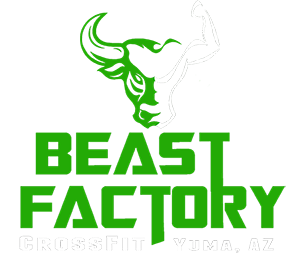 Learn the 9 basic movements of CrossFit as well as how to properly use a barbell and other equipment and movements.